Built for the ocean but easily at home inland on lakes and rivers, the C3 Commando mates very nicely to the Yamaha F25. Small, light, portable, and built for the tough stuff. The legendary French Zodiac lives in the Zodiac Bombard C3 Commando and keeps you exploring where the action is. This package makes the ultimate tender for high lattitude sailing, diving, fishing, or for just playing on the water. 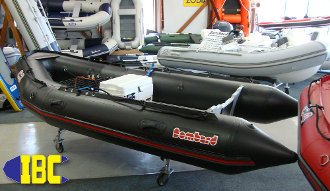 Captain Ron (of some inflatable boat fame) has used his Zodiac Bombard Commando since 1982 and it's still going strong!